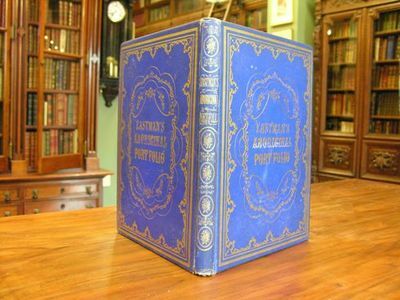 Philadelphia: Lippincott Grambo & Co.. Very Good+. 1853. First Edition. Gilt decorated cloth. Bright blue, gilt-stamped boards, all edges gilt. Scattered foxing. 26 steel engravings. A handsome copy. ; Engraving; 4to 11" - 13" tall; 84 pages .